World map showing the 460 Million IP addresses that responded to ICMP ping requests or port scans from June and October 2012. 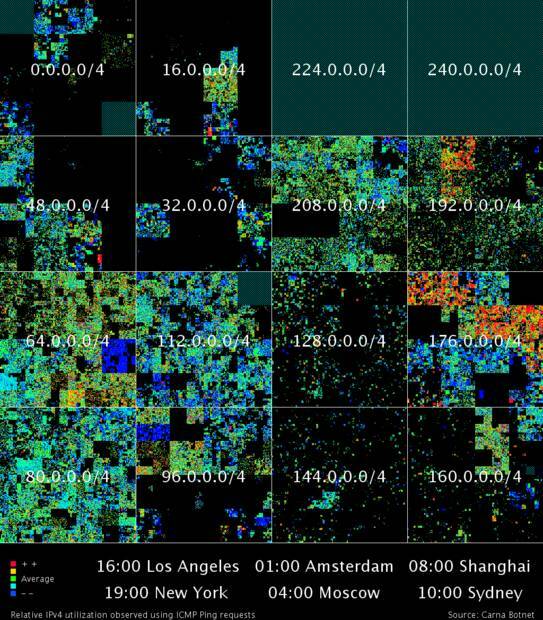 Theses maps where generated in a high and a low geolocation resolution version, either with or without a legend and in aspect ratios of 16/9 and 4/3. 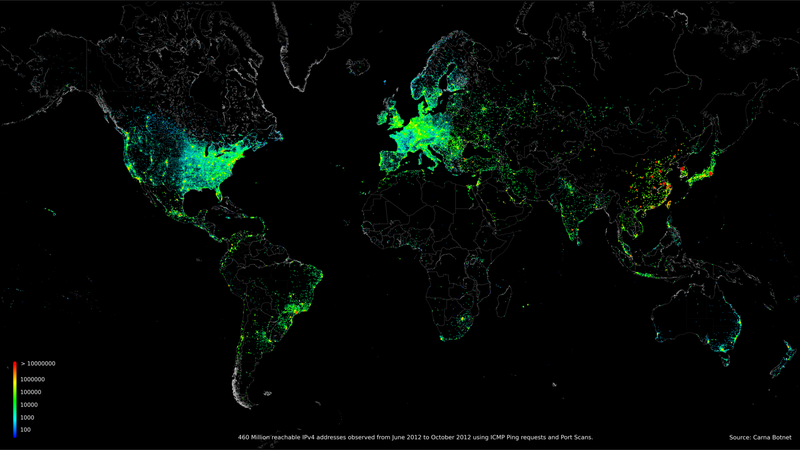 Hilbert map of the 420 Million IP addresses that responded to ICMP ping requests at least two times between June and October 2012. The IP space is mapped to a 2-dimensional Hilbert Curve as inspired by xkcd. 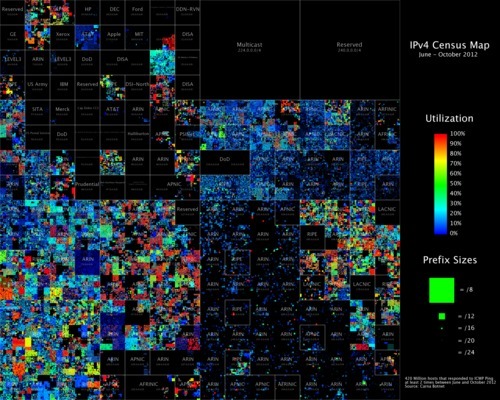 For a zoomable, clickable version of this image as well as other data projected in a Hilbert curve take a look the Hilbert Browser. 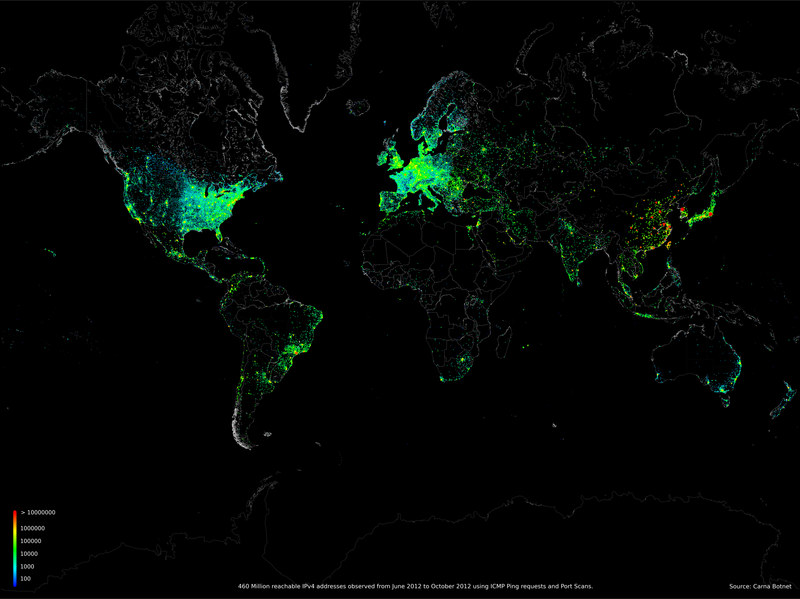 World map of 24 hour relative average utilization of IPv4 addresses observed using ICMP ping requests. Hilbert map of 24 hour relative average utilization of IPv4 addresses observed using ICMP ping requests. 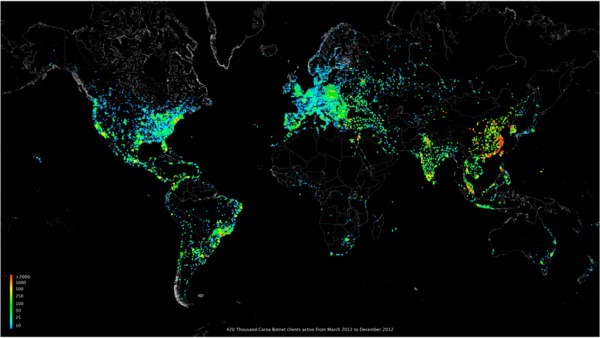 420 Thousand Carna Botnet clients active from March to December 2012.